When thinking about a title for this interview, I came across the title of one of Lisa’s 2008 exhibitions, “Investigating Boundaries”. 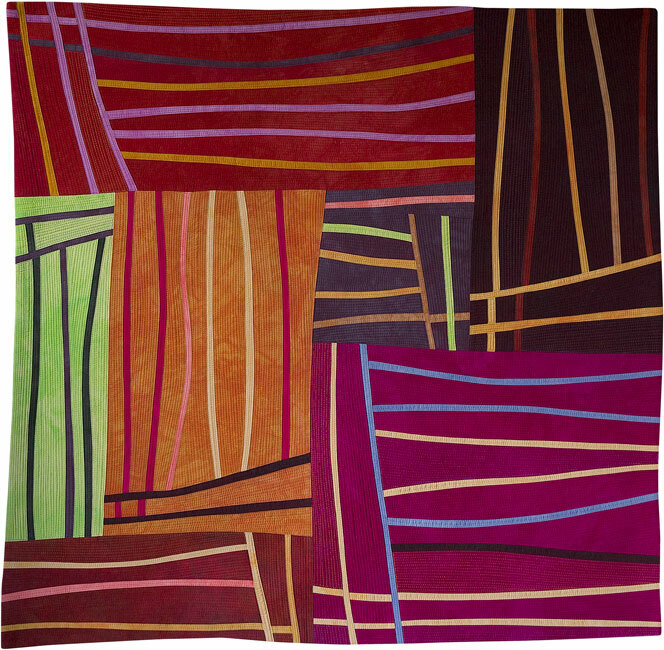 In describing her work, Lisa has used terms like abstract contemporary textile art and textile painting. 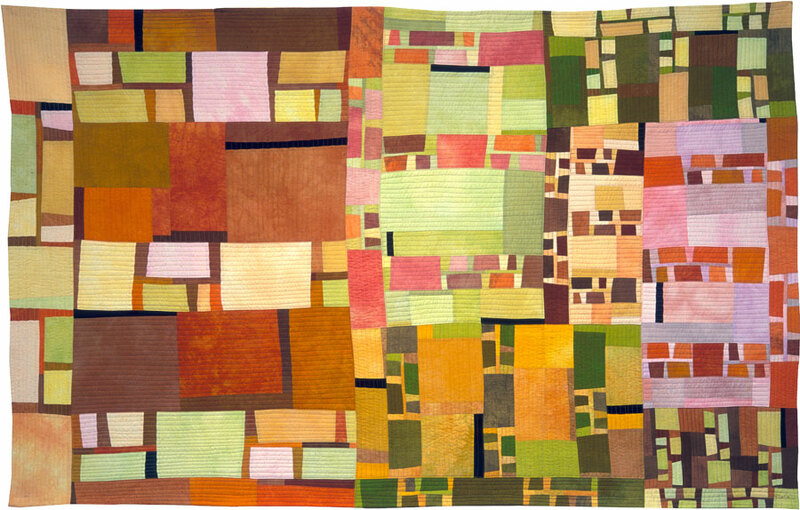 It is almost 2011 and Lisa Call continues to investigate the boundaries, her work is expanding the boundaries between traditional quilting and art. I think you are going to enjoy the observations and insights of Lisa Call. 1-Your work has received so much recognition, what lead to your choice of fiber as the creative medium for your art ? 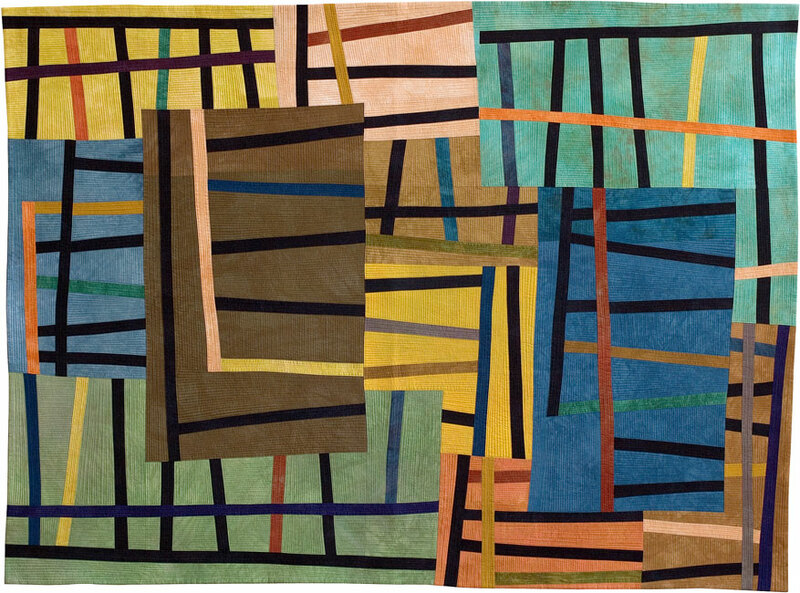 I came to making art at time when I was making traditional quilts. They naturally fell together. I have explored other mediums but they don’t provide the same tactile experience that fabric does – direct manipulation of the materials with my hands. I miss the hands-on process when painting or drawing. It just doesn’t feel the same. I also think fabric is much more flexible and versatile than many other choices, something I appreciate. I use exclusively 100% cotton woven fabric and love the inherent grid in the woven structure of the material. It appeals to me on a basic level that I can’t necessarily explain, it just feels right. I love creating, I love sewing, I love writing about my art and I love sharing my art with others. That keeps me motivated to keep making art, to keep on blogging and to keep looking for exhibits. I’ve try to appreciate the world around me and to take several inspiration dates every month, be it to museums, galleries, performances or hikes outdoors to enjoy nature. Getting out into the world and experiencing different things inspires my creative thinking. It wasn’t until I took an intensive 7 day workshop with Nancy Crow in 1999 that I found a quilt making methodology that was right for me. 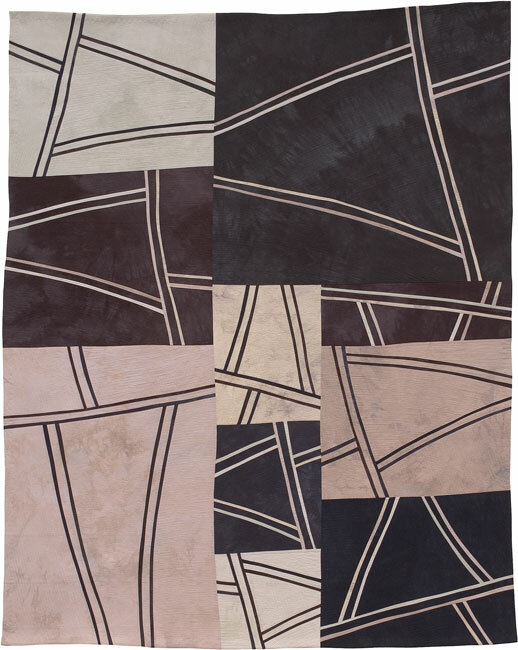 With improvisational piecing techniques I am able to refine my design throughout the entire construction process, each seam sewn and each shape cut requires me to consider the proportions and design of the entire composition. In that way Nancy has been the biggest influence on my art. In addition her professionalism and motivation are inspirational. 5- How has the recognition and acclaim effected you as an artist? My successes have given me confidence, which allows me to trust myself more. Paradoxically, the more recognition I receive, the less I look for and need it. Although I am always honored and humbled when I do receive acclaim. I find that more and more, inner strength is what fuels me, but that inner strength was build upon previous accomplishments. Having my artwork printed on the cover of the Quilt National catalog was pretty cool. 7-What do you do for fun [besides quilting]? Hang with my kids (they are the best teenagers ever), yoga (it’s my sanity and serenity), reading, gardening, walking, hiking, theater, ballet, cooking, dining out, enjoying time with friends. I recently got a new kitten. Pretty much everything she does is funny. 10- What advise would you give an aspiring quilter just starting out? Be true to yourself and find a way of creating that makes you happy and the feels right. 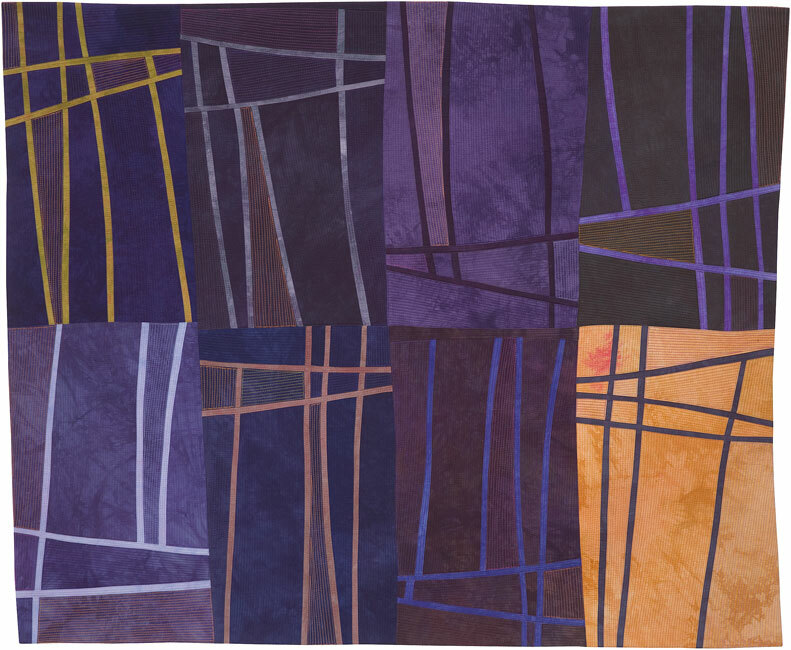 Abstract contemporary textile paintings. I strive for simplicity and spareness. 14-What do you think has contributed the most to your achieving your sucess? My energy, drive and motivation. I put in the time needed to become really good at what I do. Categories: Blog posts, famous quilters, Interviews 1, Interviews-1, Interviews-2, Older Posts-, Uncategorized.